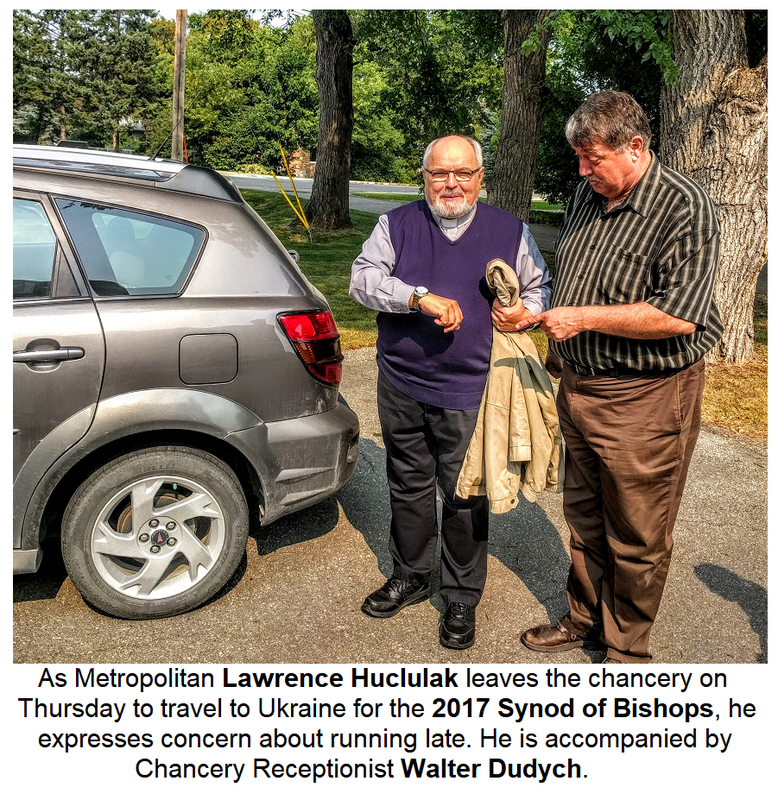 His Grace Metropolitan Lawrence Huculak, the Archbishop of Winnipeg, departed from Winnipeg today to make his way to Lviv, Ukraine where the annual Synod of Bishops of the Ukrainian Catholic Church begins on Sunday, September 3. He will be joined by the Ukrainian Catholic Bishops of Canada as well as all Ukrainian Catholic Bishops from around the world. The present practice of the Ukrainian Catholic Church is that the Head of the Church, His Beatitude Sviatoslav (Shevchuk) convokes all bishops to a week-long Synod in the fall – usually the first full week of September. Aside from this regular annual Synod a special Synod could be convened for extraordinarily urgent matters like a major unforeseen development – such as was the case when the need to elect a new Father and Head took place in the winter of 2011 when Cardinal Lubomyr Husar resigned. Aside from this all-church gathering, a “Permanent Synod” of five bishops, including the Head of the Church, meets to attend to interim administration matters and the interpretation of legislative texts. 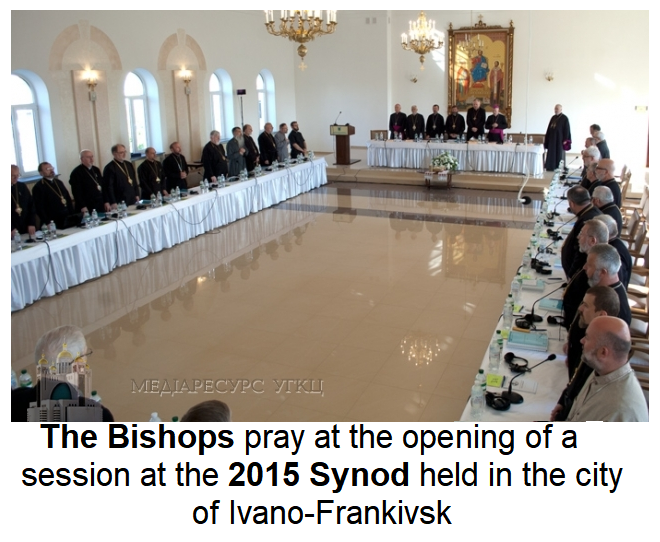 More often than not, the Synod of all the bishops takes place in Ukraine at a remote location so that the bishops can meet, pray and deliberate unhindered. A Patriarchal Centre is nearing completion in the capital city of Kyiv adjacent to the Cathedral of the Resurrection. When this work is finished, the Bishops will gather at the facility. The Synod has, however, taken place in other countries for particular reasons. This includes Brazil, the United States and Canada. The Synod held in Winnipeg in 2012 occurred by invitation of Metropolitan Lawrence to mark the centenary of the establishment of a Ukrainian Catholic Hierarchy in Canada. That year, the Church in Canada was celebrating 100 years since the appointment of Blessed Hieromartyr Nykyta Budka. This year, His Beatitude Sviatoslav will preside over many sessions of discussions about prayer in the Ukrainian Catholic Church – especially liturgical prayer. The bishops will share about the experiences and practices from their corner of the world and analyse trends and needs. Metropolitan Lawrence also says that a good part of the deliberations will be about new translations of the liturgical texts that the Bishops and their various sub-committees have been working on for some time. The last time that an official translation for both the Ukrainian and English language Divine Liturgy came out was in 1987 and was subsequently implemented in Canada in 1988. Over the 30 years that it has been in use, a number of suggestions for improvement have been made that include a more accurate translation from the Greek original, but perhaps also adaptations of the structure of the Liturgy as well. The Synod protocol and tradition involves events and formalities that take place before the first working sessions begin and after the conclusion of the synod proper. The oaths, of the members of the Bishops and of the auxiliary staff take place the day before. There are always public Eucharistic liturgies prior to and following a Synod so that the whole Church may join in praying with their shepherds, invoking the blessing of Christ Who is the ultimate head of His Church. This year a unique event will happen at the opening Divine Liturgy – a newly nominated Bishop will be consecrated that he will participate in the Synod not only as a “bishop-elect”, but as a full member of the episcopacy. The newly appointed auxiliary bishop for Philadelphia, Most Rev. Andriy Rabiy will be consecrated on September 3rd at the historic St. Georges Cathedral. As is Church tradition, he will be consecrated or raised to the episcopal order by the laying-on of hands (Рукоположення)(Χειροτονία) of at least three bishops. The ones chosen are: His Beatitude Sviatoslav, who’s right and privilege it is to ordain all bishops of the Church that he heads; naturally also Metropolitan Stefan Soroka, the Archbishop of Philadelphia; and Edmonton’s Bishop David Motiuk. Bishop Andriy Rabiy, who will turn 42 on October 1st, will then be the youngest bishop of the Synod – both by age and seniority. For various canonical distinctions, it is the number of years since episcopal or priestly ordination that takes precedence over his actual years of life. The oldest living Ukrainian Bishop – by age and episcopal ordination is the retired Bishop of Buenos Aires, Argentina. Bishop Andre Sapelak, SDB, will turn 98 in December and has been a Bishop for almost 56 years! He is one of the few living Fathers of the Second Vatican Council. 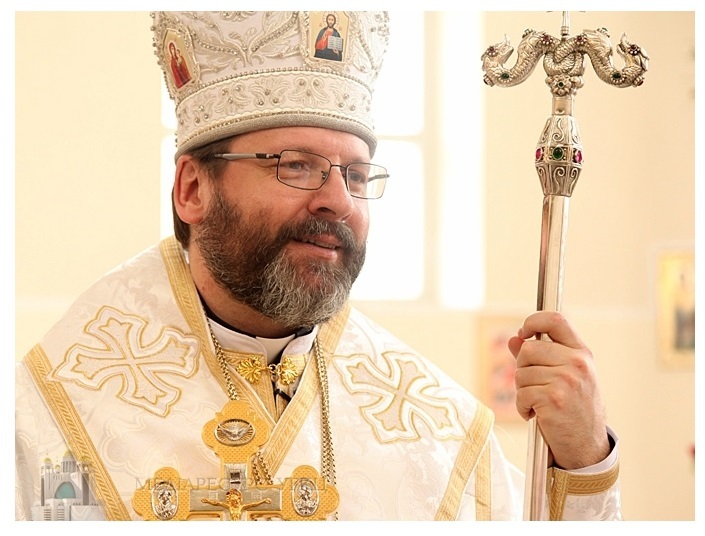 Presently in the United States, among all Bishops – of any Catholic Church sui iuris - Ukrainian Bishop Basil Losten is the 4th eldest by episcopal consecration, while Bishop Rabiy will be the youngest bishop… until the next U.S. bishop is slated to be ordained on October 10 in Juneau, Alaska. «Головне прохання, яке ми прагнемо висловити на цьому Синоді, – це слова апостолів до Ісуса Христа: "Господи, Учителю, навчи нас молитися". Ми також прагнемо запитати себе і вас про те, як ми молимося, чи вміємо молитися, чи молитва є диханням нашої душі? Прошу всіх вас за цей Синод молитися! Ми так потребуємо, щоб Синод не був справою грона єпископів. Бо він загальноцерковна подія, велика подія всієї Церкви», − закликав Глава Церкви вірян.